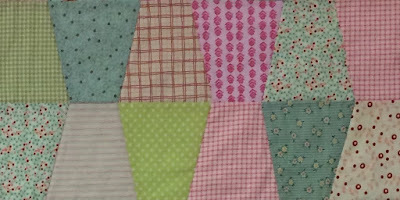 I then pulled fabrics from my scrap bin (a leftover border, and some smaller pieces) as well as a few fat quarters. Anything that went with the sweet fat quarter above made the cut. But I did try to keep it all on the softer sweet side. 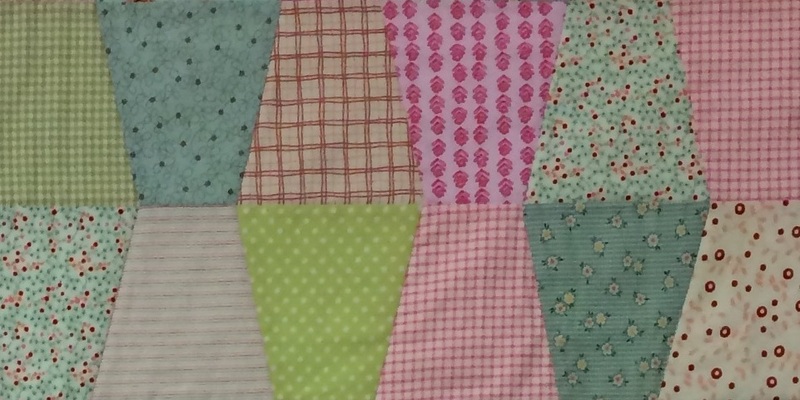 It sewed together in a snap, no pins needed, and simple quilting along the seams. I don't like to quilt baby quilts too much because I like for them to be soft and squishy. I also added the binding to the back of the quilt, flipped it to the front, and machine stitched it down with a small zig zag stitch. It will be very durable and machine washable. I do hope it gets lots of use! If you would like to order the tumbler template please click HERE. Lovely quilt Diane ! I love his vintage style !! OH!!!! I recognize that fat quarter with the dogs and cats on it!!!!!! Diane I am so thrilled that you are using that fabric won on my give away for your great-niece's quilt!!! I am so honored and think it is perfect for a baby quilt. Love your tumbler.. I have always wanted to try this pattern/template. This might just motivate me to do that. Thank you again - I am so glad you are using this fabric in such a special quilt. The animal print is so very sweet for a baby quilt.